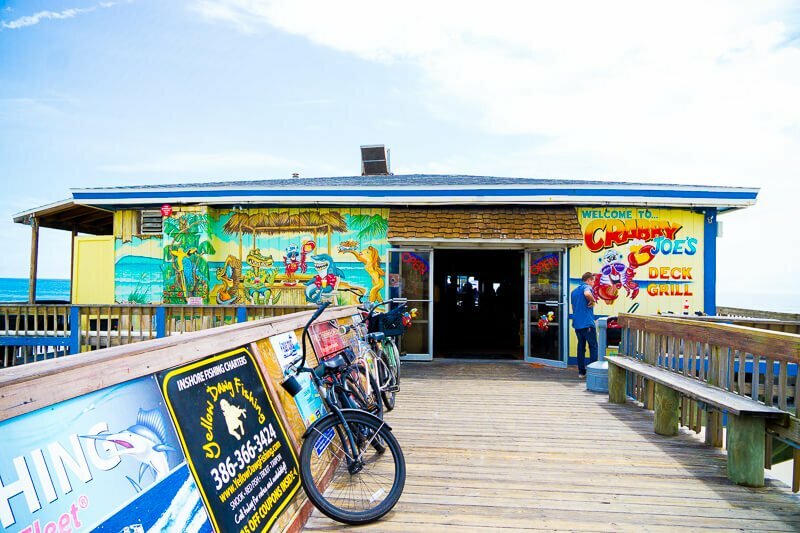 Next time you head to Daytona Beach, make sure to try out at least one of these great Daytona Beach restaurants! Great breakfast, lunch, dinner, and dessert options with a little bit of something for everyone. 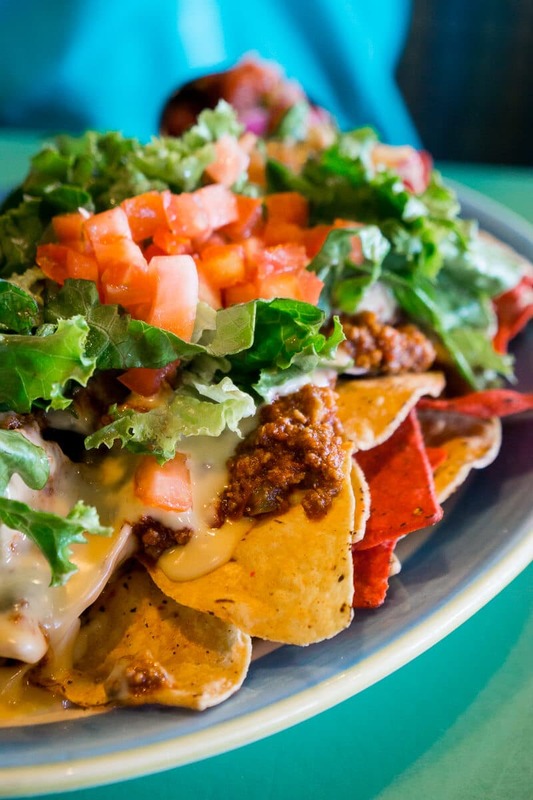 Daytona Beach may be known for racing, but the best restaurants in Daytona Beach show that the food in Daytona Beach is almost as good as the racing! 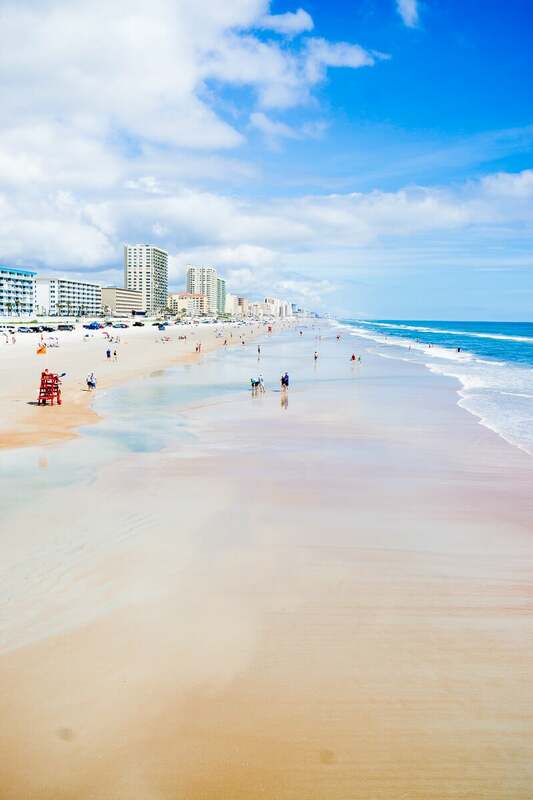 My family and I headed to Daytona Beach to seek out the best things to do in Daytona Beach. Little did I know that during our weekend getaway, we would not only find awesome things to do in Daytona Beach but also some great food. 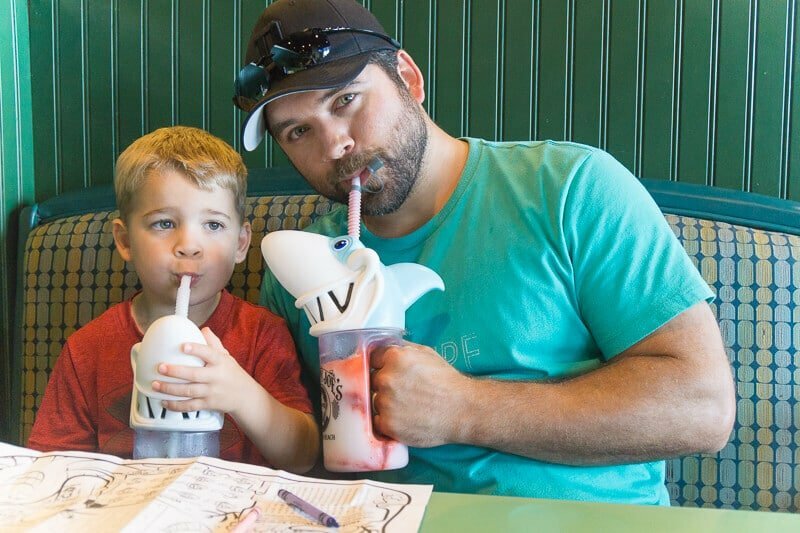 Many of these restaurants in Daytona Beach were recommended by friends before our trip, others were Trip Advisor recommendations, and a handful were ones recommended by locals in the area, like our awesome valet guy at The Shores Resort & Spa. 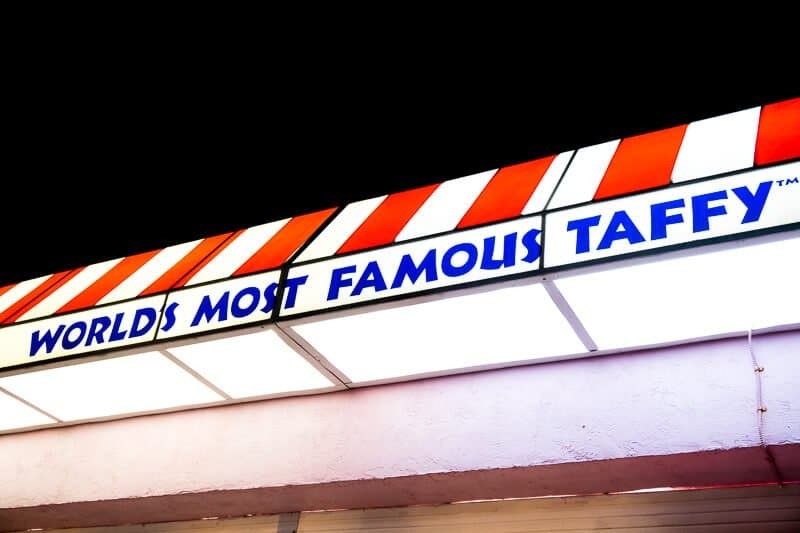 As a quick disclaimer, while this post is titled Daytona Beach restaurants, some of these are actually technically in different cities and just near Daytona Beach. But for the sake of simplicity, I just wrote Daytona Beach. 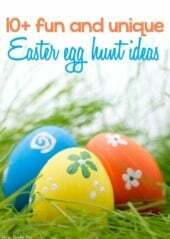 All of them are located in or near Daytona Beach. Once you’ve picked out your favorite restaurants in Daytona Beach, map them out and drive away. I’ve split them up by breakfast/brunch, lunch/dinner, and dessert. Feel free to eat dessert if that’s your thing. Or first and last. That’s my thing. 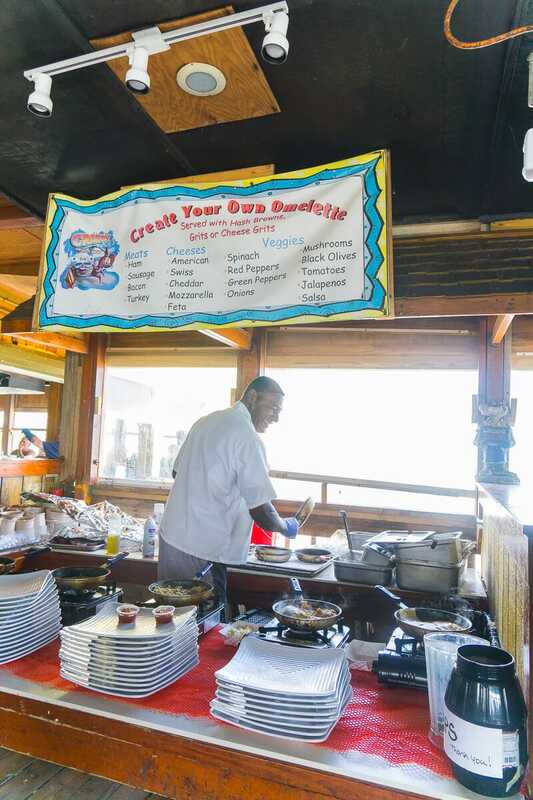 Mike’s Galley is an unassuming mom and pop style diner that’s just a few minutes from The Shores Resort and Spa and the Oceanwalk Shops. Honestly if I hadn’t read the reviews on Trip Advisor, I’d never have even known it was there. 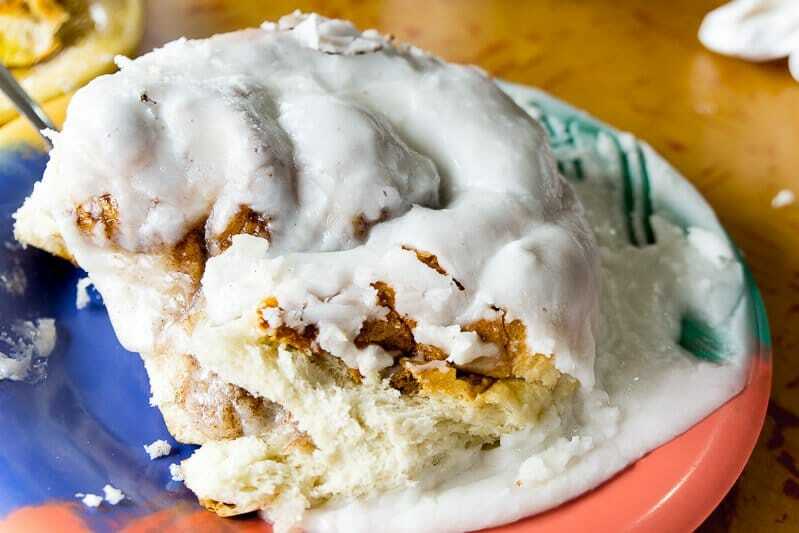 The cinnamon rolls are huge. We tried the biscuits and gravy, hash brown casserole, and crab egg Benedict and were happy with all three. And the service is fantastic. Sit in a rocking chair outside, ask a couple of questions from a trivial pursuit game, and enjoy a leisurely breakfast without a care in the world. Crabby Joe’s is more about the view than the food, but it needed a spot on the list because the location is fantastic. 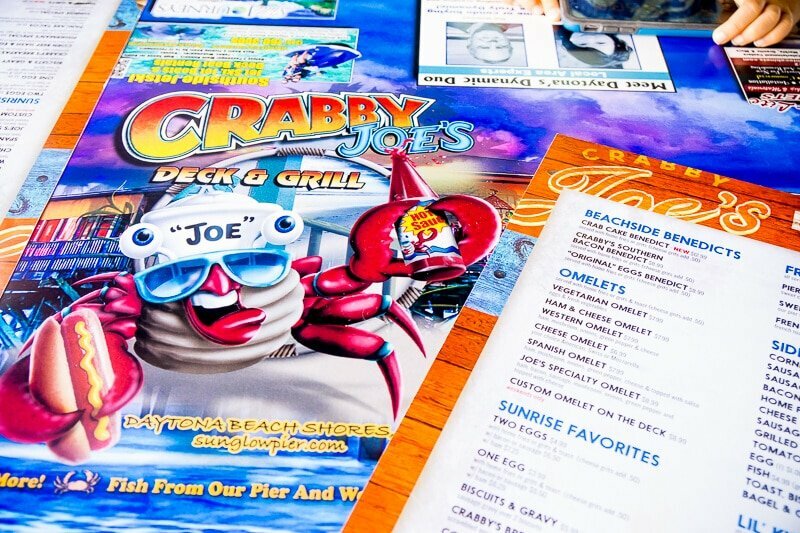 Crabby Joe’s sits out on a pier right in the middle of the ocean with fishing off the end, made to order omelets at breakfast, and good enough food for me to still recommend it as somewhere to eat, not just explore. Park your car on the beach and wander over for a plate of their popular french toast or a drink to enjoy with your view. One of the best things I ate on our entire trip to Daytona Beach was the grilled cheese from the brunch menu at Azure at The Shores Resort & Spa. To be honest, it might have been the best grilled cheese I’ve ever eaten, or at least the top five. 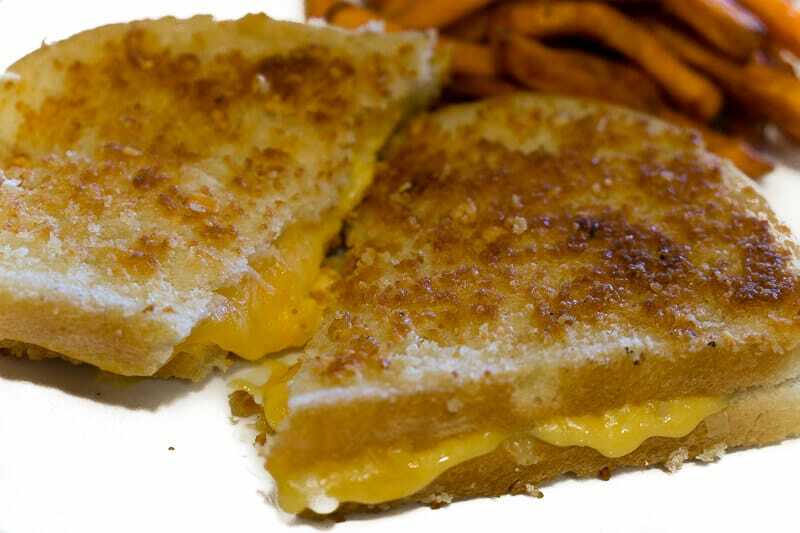 The grilled cheese is toasted in panko, which gives the outside the crispiest crunch ever, which perfectly complements the various types of cheese layered inside the sandwich. It comes served with sweet potato fries that I could have eaten all day long. While the grilled cheese was the star of our meal, my husband also thoroughly enjoyed the lobster frittata and was regretting not ordering the poke from the brunch menu. Azure also serves breakfast, lunch, and dinner with fine dining both indoors and outdoors by the resort’s pool and bar area. 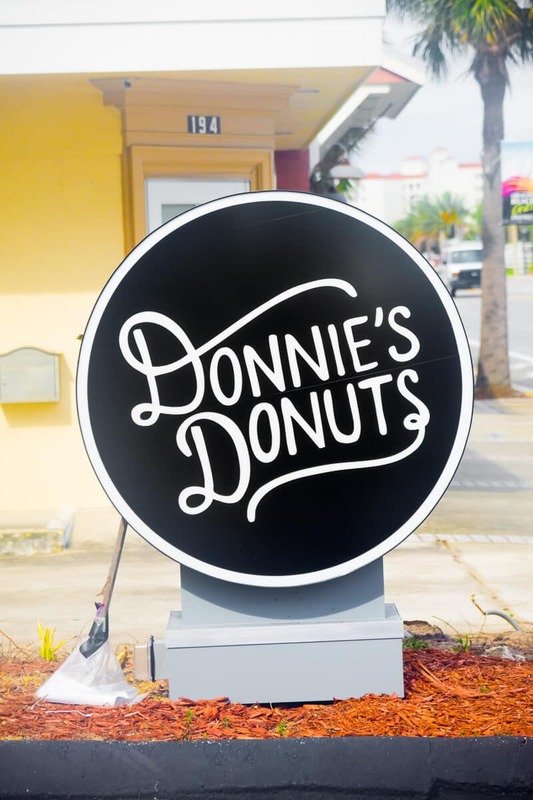 Not sure Donnie’s can really be considered breakfast when the donuts come topped with things like sour gummy worms, but donuts are typically a breakfast or brunch food so I added it anyway. 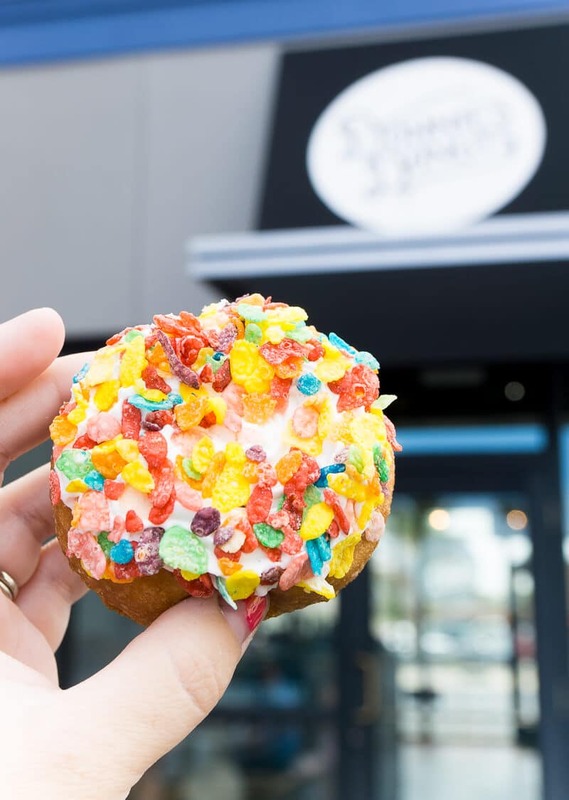 When we walked in the door we were told Donnie’s makes vintage and modern donuts – vintage cinnamon sugar cake donuts and modern donuts covered in crazy toppings like fresh fruit, cereals, nuts, and more. Don’t stick to just what your eye can see on the pre-made donut trays. If you walk around the left corner, find where they make custom donuts. 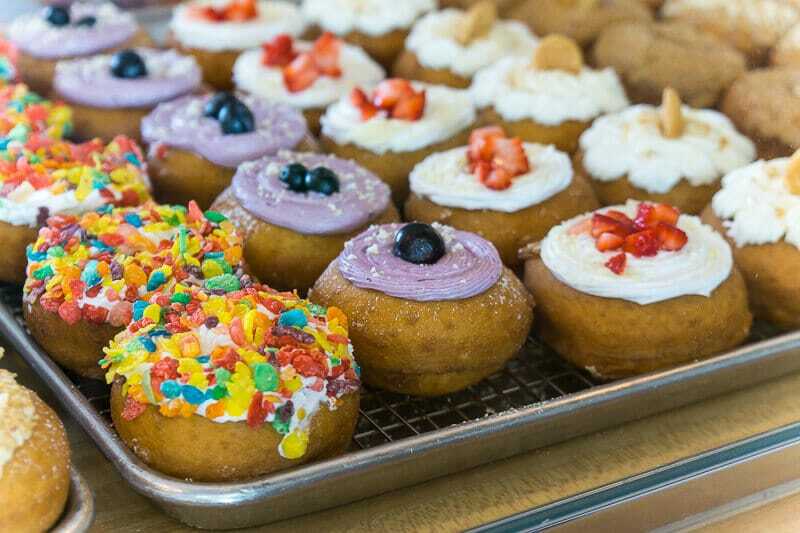 They’ll take their cake donuts and top them with pretty much whatever you want. Icings, toppings, you name it. 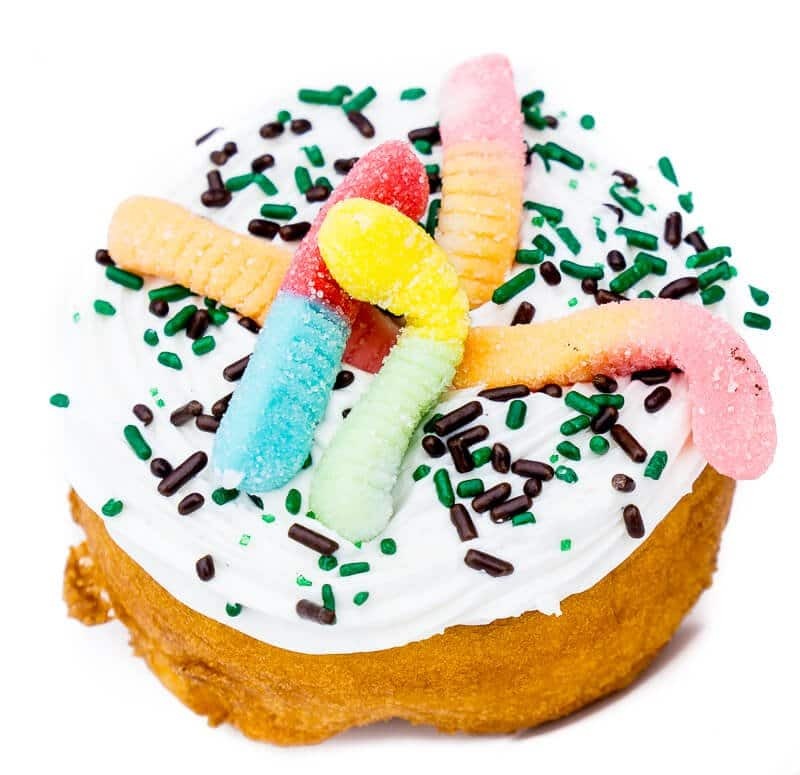 My son went for a sprinkle and sour gummy worm donut, and I was highly tempted by the key lime icing option. Next time. The one thing everyone told us about Sloppy Joe’s was that the mozzarella sticks were as big as Twinkies. People weren’t kidding. I love mozzarella sticks and these were definitely the biggest I’ve ever seen. They came four to a plate and were literally the size of Twinkies. 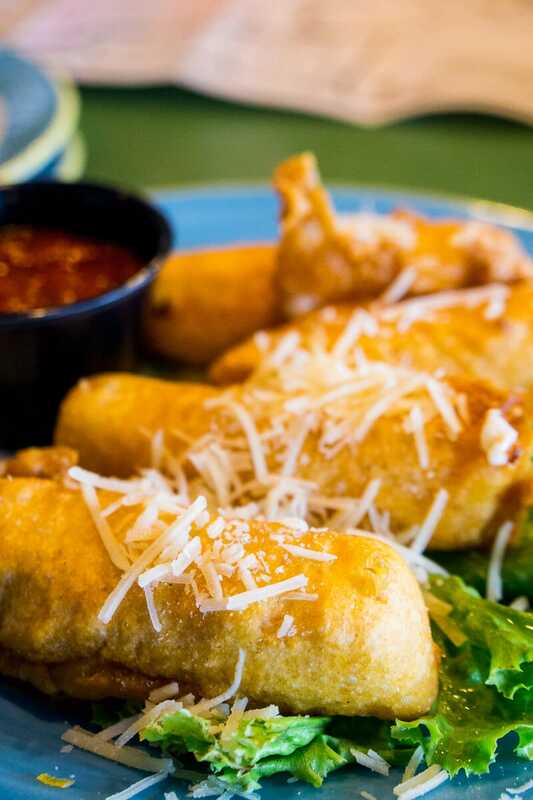 Order a plate to share and enjoy the biggest bite of fried mozzarella you’ll probably ever take. 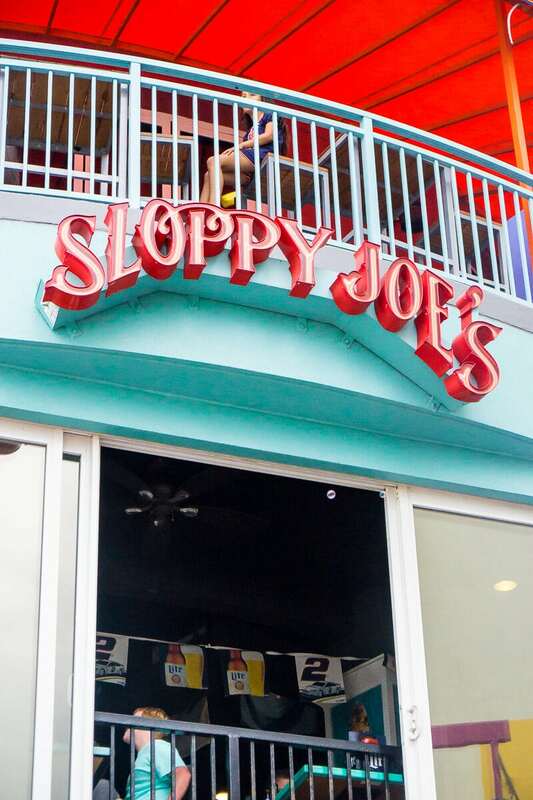 Sloppy Joe’s is also known for their sloppy joe nachos, also huge, as well as a fantastic location right in the Daytona Beach Oceanwalk Shops. We ate a late lunch of coconut shrimp, nachos, sweet potato tots (so good! 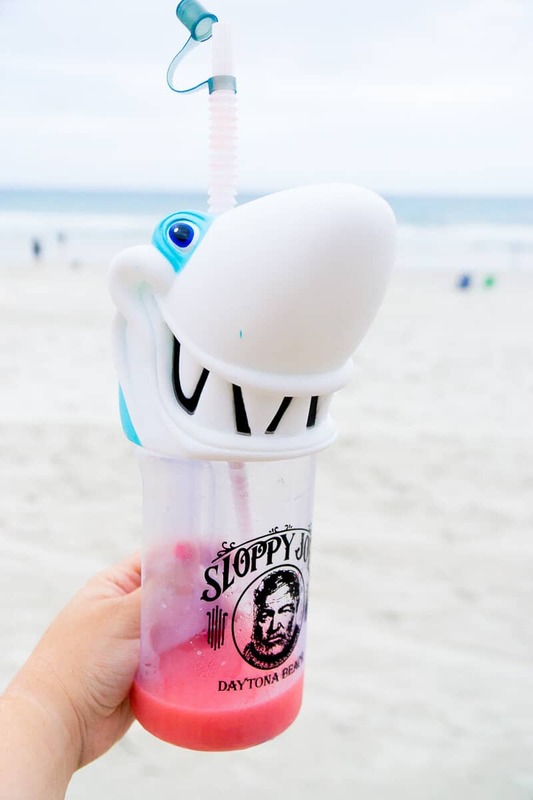 ), and grabbed our drinks in take home shark cups to take for a walk on the beach right below. Senor Taco is not the place to go if you have a big party, want a long leisurely lunch, or don’t like tacos. 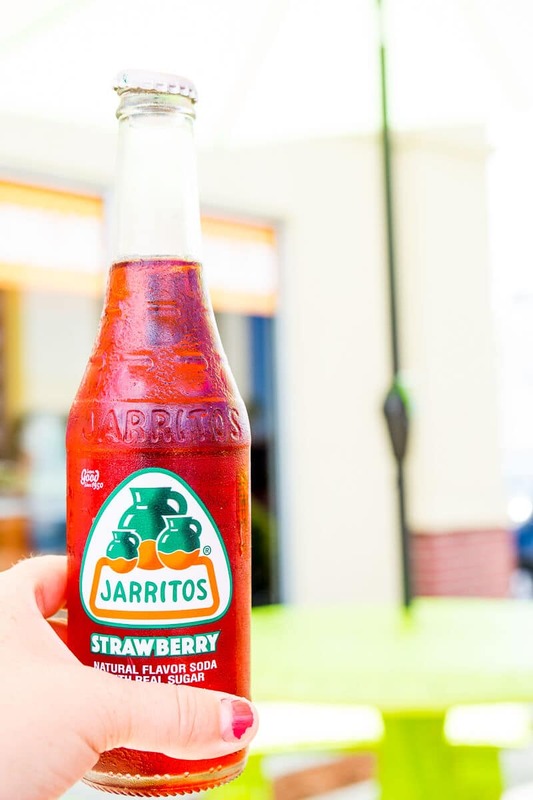 But if you’re a Taco Tuesday fan, make sure to plan in a stop to this taco shop. 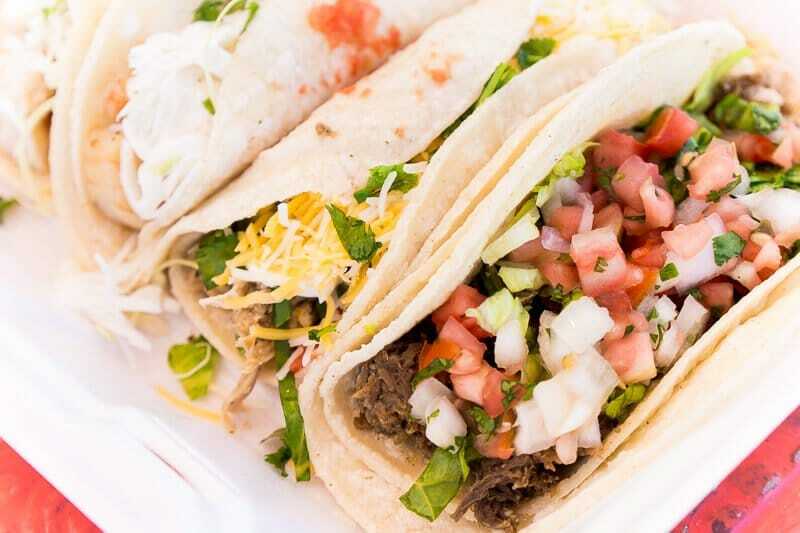 Tacos are served in one of three styles or make your own. And the tacos, burritos, and quesadillas they serve are made to order and delicious. They’re not particularly unique or creative – just good, fresh, tasty tacos that hit the spot when you want a quick lunch. Don Vito’s is the only place on this list that is near the Daytona Speedway. All of the other Daytona Beach restaurants are closer to the beach. It’s only like a ten minute drive and well worth the drive. 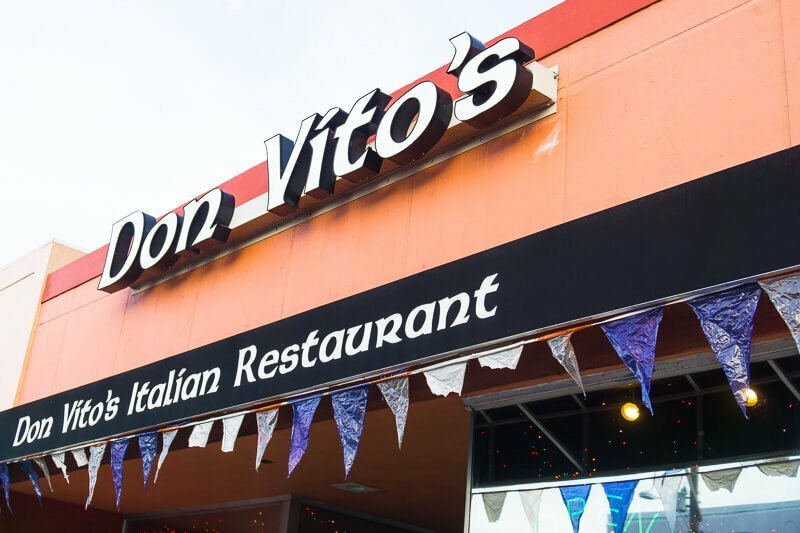 Don Vito’s is the epitome of a family Italian restaurant. Great food. Great service. And a place where you feel comfortable letting your kids run around without shoes on because you feel like family. 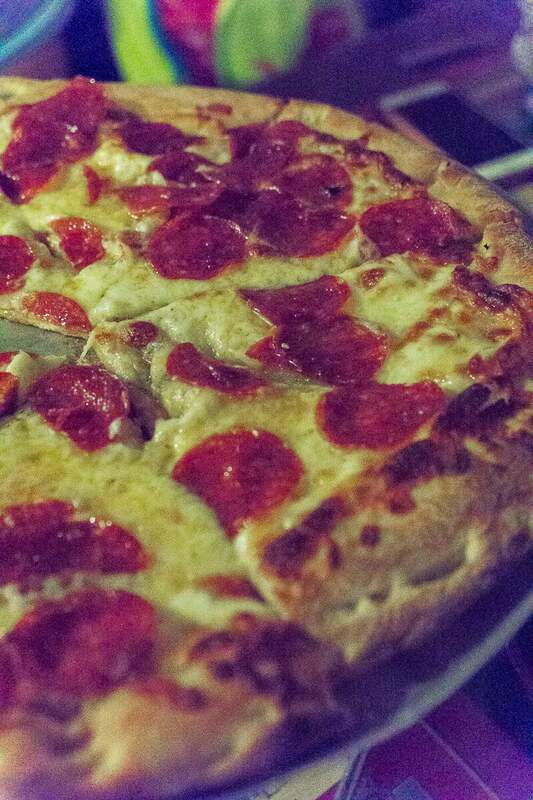 It’s a family run place that thrives on fresh, made to order food, and great pizza dough. We skipped the pastas and entrees and went straight for all the carbs. Fried ravioli to die for, delicious bruschetta, pizza rolls so good we took them home on the airplane, and pizza with crust my husband is still talking about a week later. I only wish we’d been in Daytona Beach for longer so we could have tried entrees and desserts, our stomachs were too full of pizza crust to fit anything else. Zeno’s is apparently a Daytona Beach staple as we had a number of people tell us it was a must-stop spot during our trip. It’s at the very end of the boardwalk and if you love taffy or other candy, definitely worth the walk. 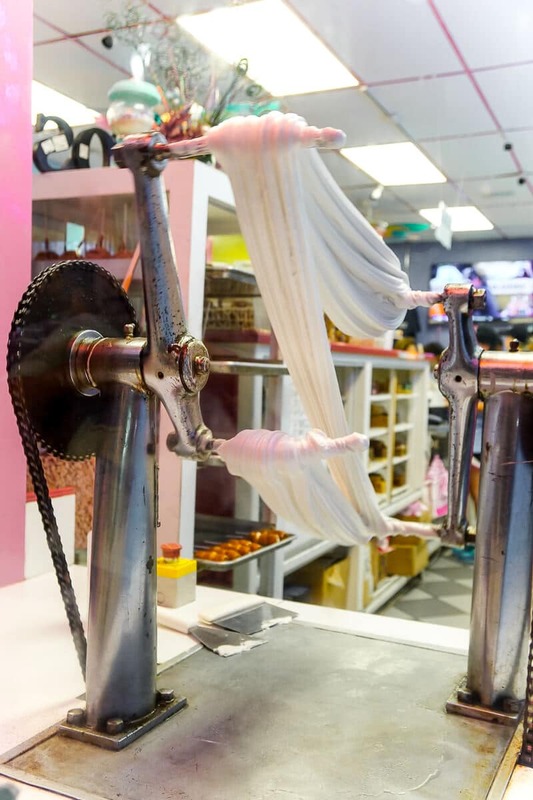 Zeno’s says they’re the world’s most famous taffy maker and even if it’s not true, I believe it. 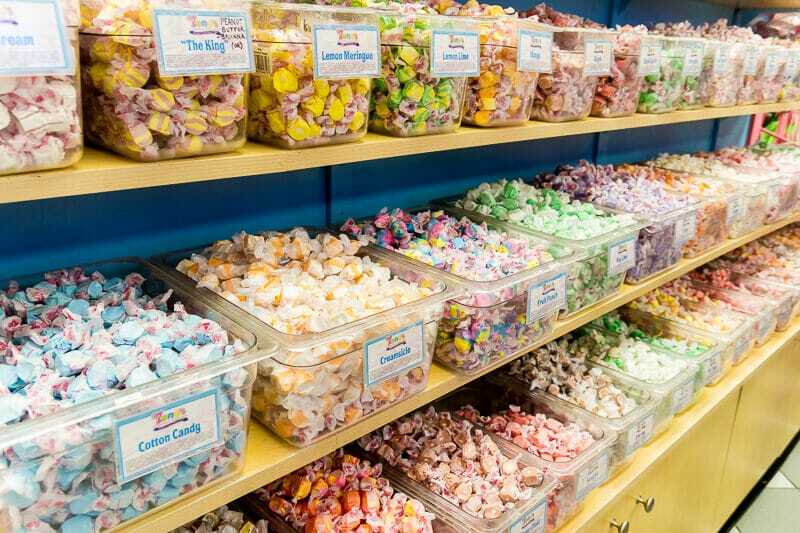 I’ve never seen so many varieties and colors of taffy in my life and had to buy an entire bag that I can’t even eat right now because I have to try the flavors when my dental work is done next week! 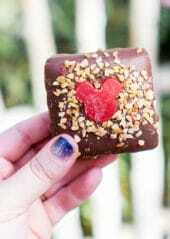 I picked out about 20 different pieces with flavors ranging from German chocolate cake to Key Lime Pie. And my son who doesn’t like taffy picked out a bag full of gummy worms, gummy sharks, and other gummy sea creatures. It was his favorite food in Daytona Shores for sure. 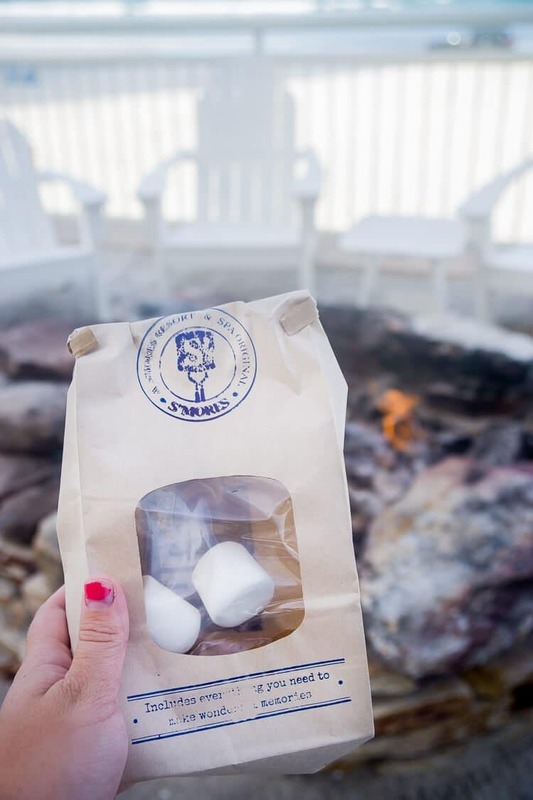 If you’re staying at The Shores Resort & Spa, each guest receives a complimentary s’mores kit to cook on the fire pit in their outdoor pool space. 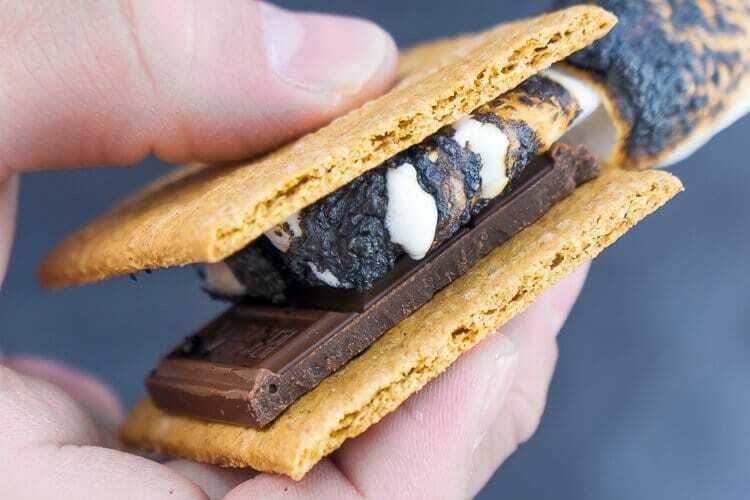 Kits come with enough s’mores for at least four people depending on how many you each eat and a fire roasting stick. My son isn’t a chocolate fan (crazy right??) 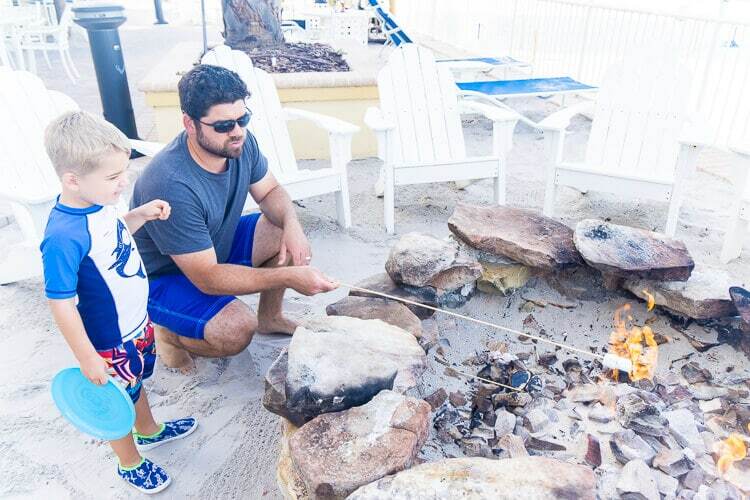 but he still loved helping Dad blow out the marshmallows when they caught on fire and helping me smoosh the marshmallows and chocolate together in between two graham crackers. And me? I always love a place I can get a freshly cooked s’more. 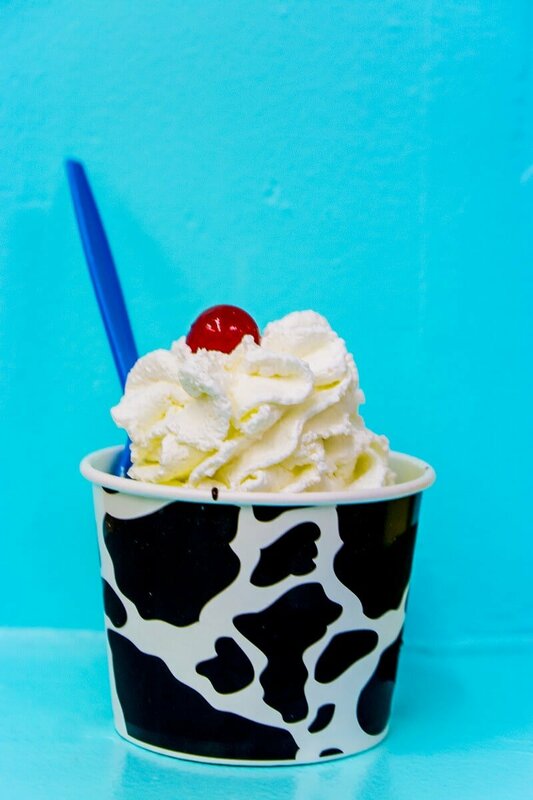 Every beach town needs to have a good ice cream place and for Daytona Beach, Cow Lick’s is one of the best. We knew it was going to be good as soon as I saw the teenagers hanging out in the backroom playing Phase 10 with their ice cream and the local family competing at one of the PacMac tables in the front. 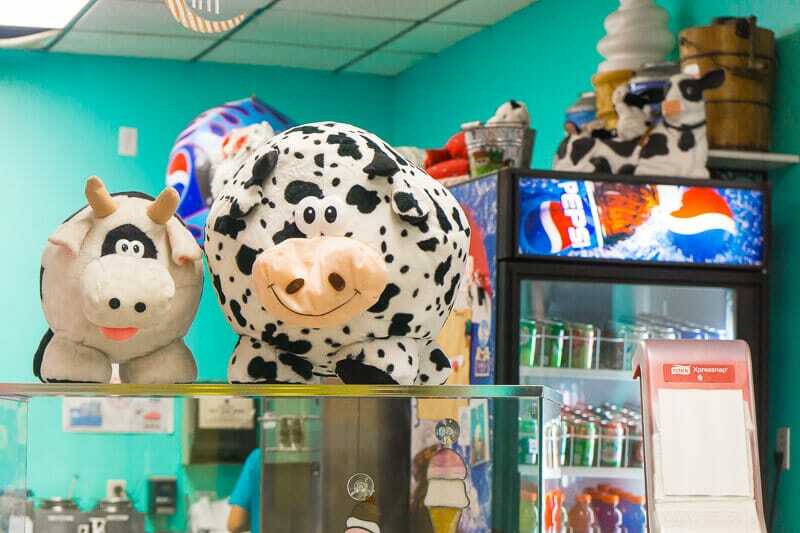 There are a few arcade games, a bouncy ball machine, and a lot of cute cows decorating the place. And when it comes to ice cream – they have it all. 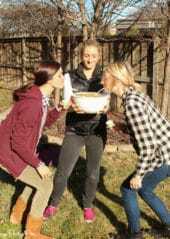 Milkshakes, sundaes, and a very popular banana split. Pick your size (portions are huge! 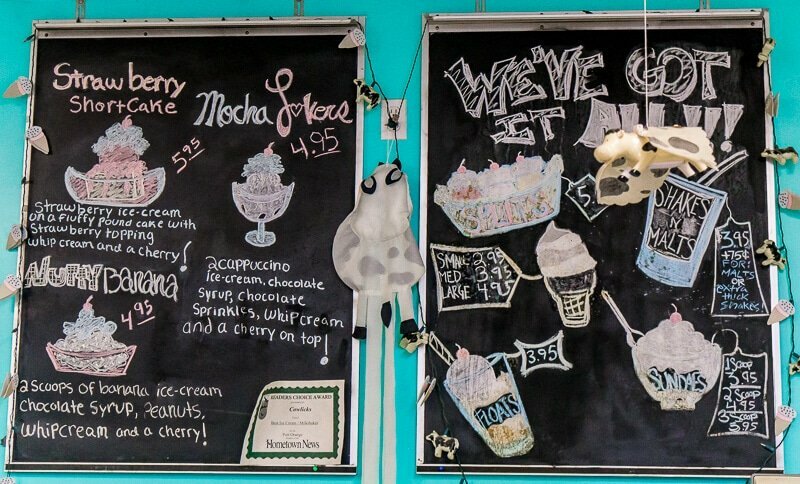 ), your flavors, and enjoy a nice creamy treat along with other Daytona locals. 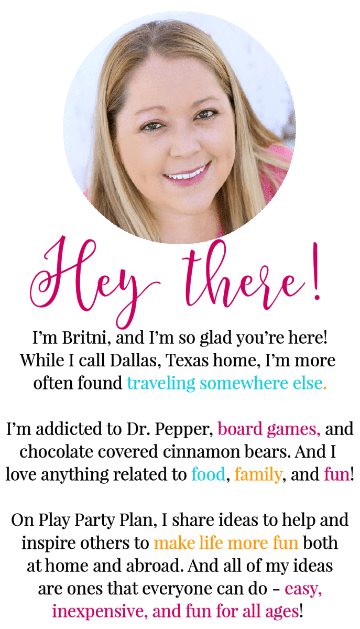 Noble Crumb is the only place on this list we didn’t know about before our trip or find on a website somewhere. We happened to luck across it because it’s in the same strip mall as Senor Taco and any time there’s a cupcake place, I’m going to try it. Noble Crumb just recently opened in their new location and is just getting on its feet. 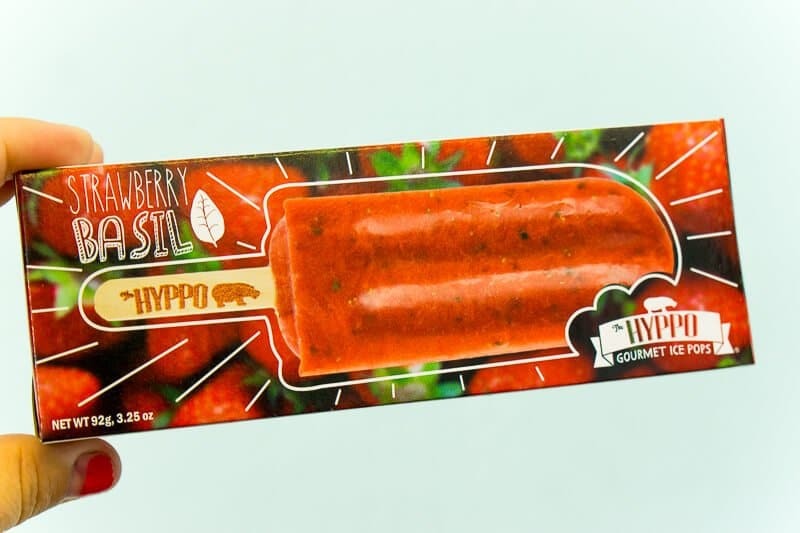 I’m guessing it’ll get there quickly with their delicious mini cupcake flavors, great sprinkle sugar cookies, and ability to sell the popular Hyppo gourmet ice pops. 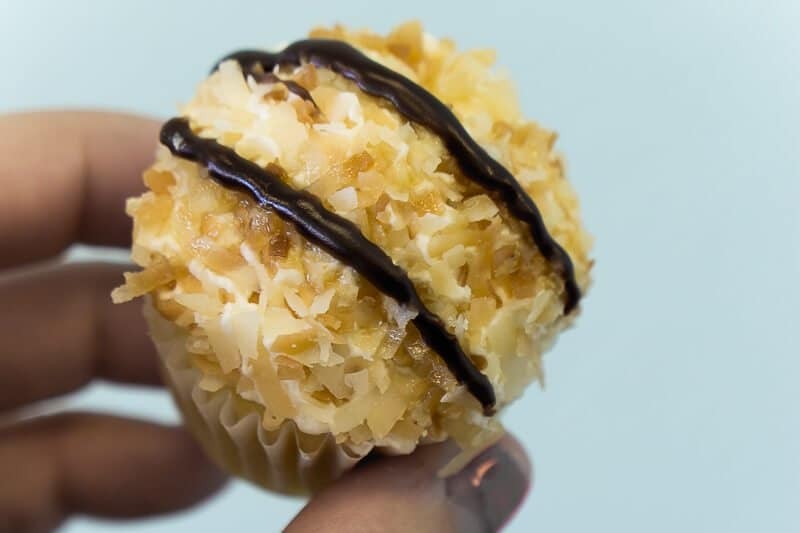 It’s definitely worth a quick trip if you’re looking for a sweet fix. What are your favorite Daytona Beach restaurants? 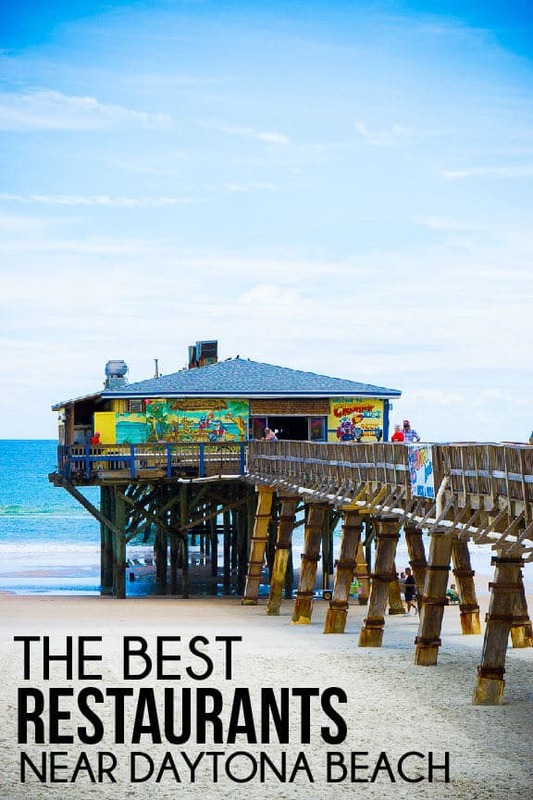 What food in Daytona Beach would you add to this list? 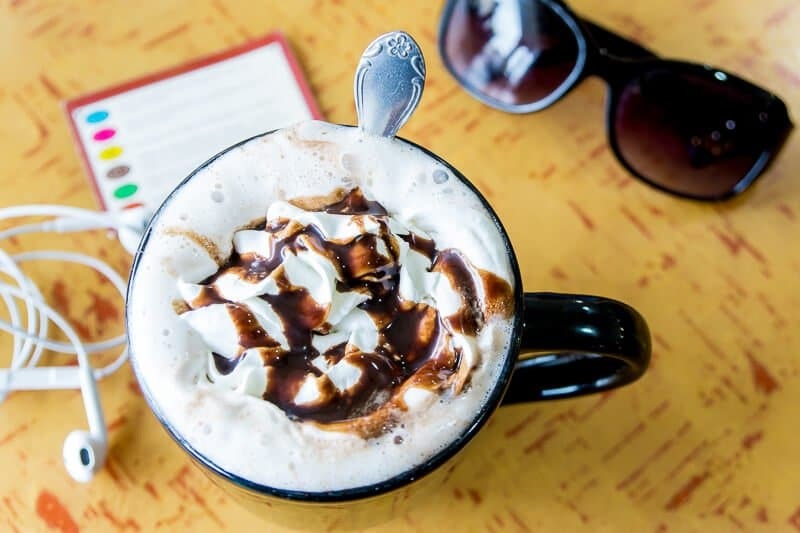 Don’t forget to pin these Daytona Beach restaurants for later! The best grilled cheese sandwhich EVER!!! We are now going to Daytona once a year for their sandwhich! It started one time with my friend getting a massage and I read a book while waiting since then the 40 plus people we go down there with heard so much they all go for a grilled cheese at least twice in the week we’re there! So now I’m on a new mission this time and hitting some of the spots you mentioned that we haven’t been to. Our taste must be a like so I trust your opinion cause I agreed with you on 3 of the 11 you mentioned! Seriously the best, I’m still dreaming about it! 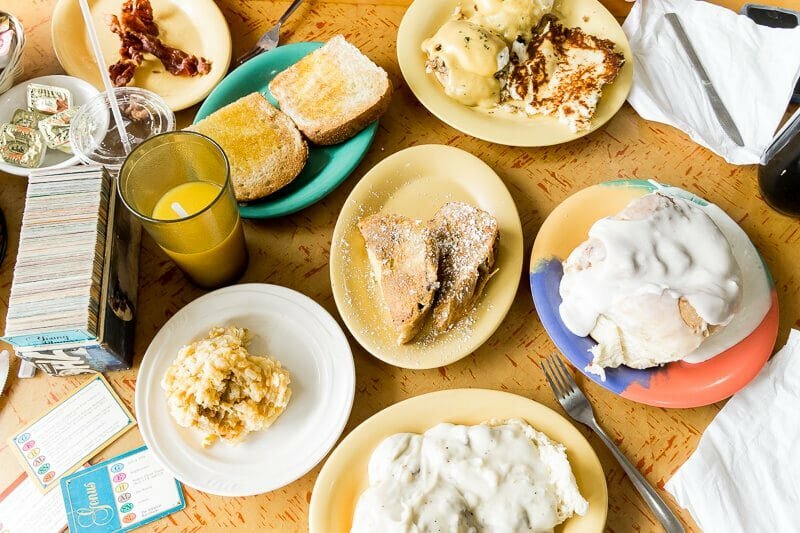 You all forgot Peach Valley for breakfast or lunch. They are the best!! Hands down!! I’ll have to try it next time I’m in town! Our deck down under is hands down the best place for seafood in Daytona/Port Orange. They have just about anything you can imagine when it comes to fresh seafood. As a Daytona native, I grew up going to the deck almost every week for dinner. Definitely a must on your next trip. Aunt Catfish on the other side of the bridge is also delicious but the wait times get pretty high.